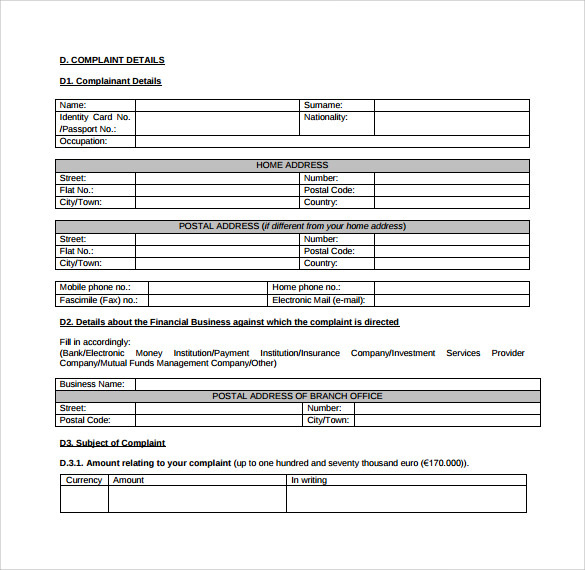 The financial services ombudsman is an office that is responsible for listening to all complaints from the public concerning any misconduct by the financial Service Feedback Form of the country. 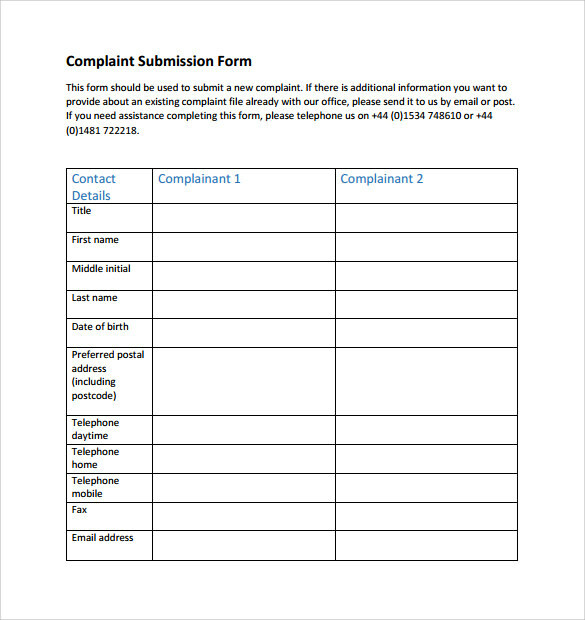 The office then takes action to resolve the issue and if there is a confirmed violation of any rights or laws, the case is handled accordingly. 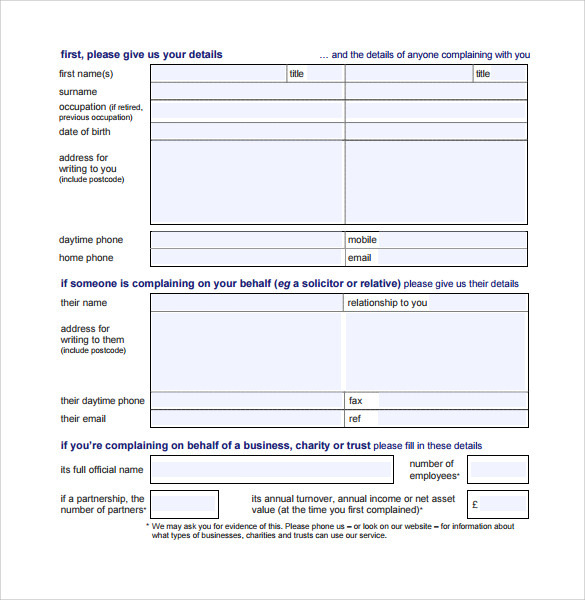 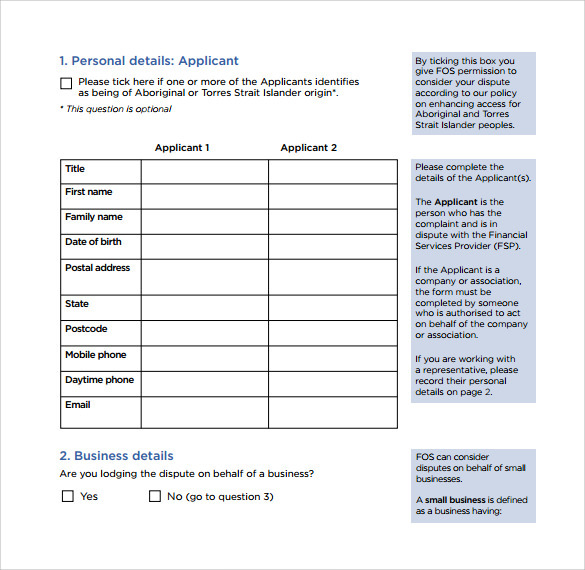 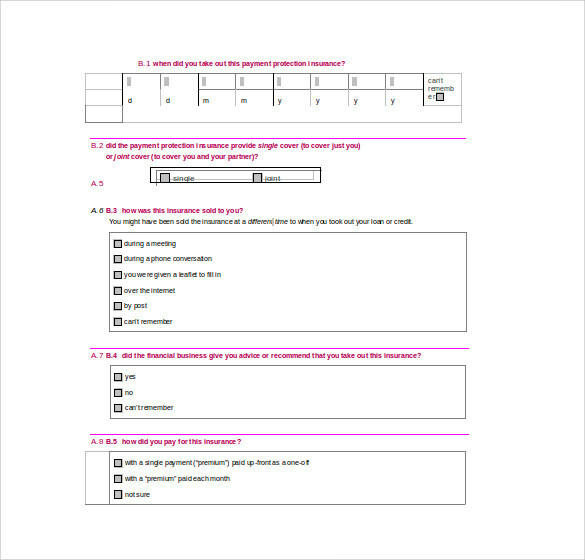 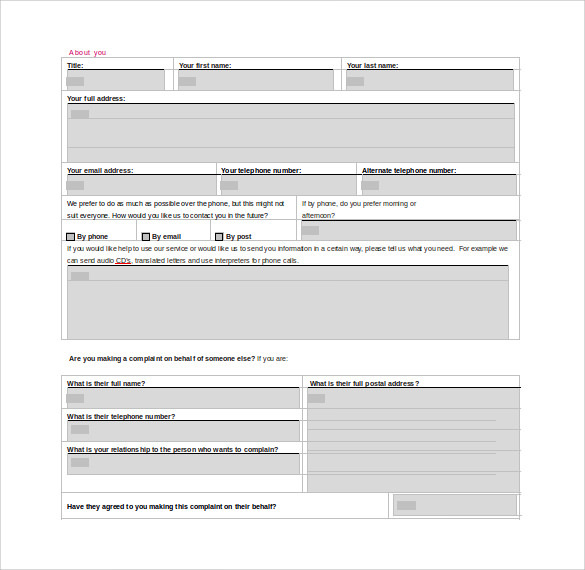 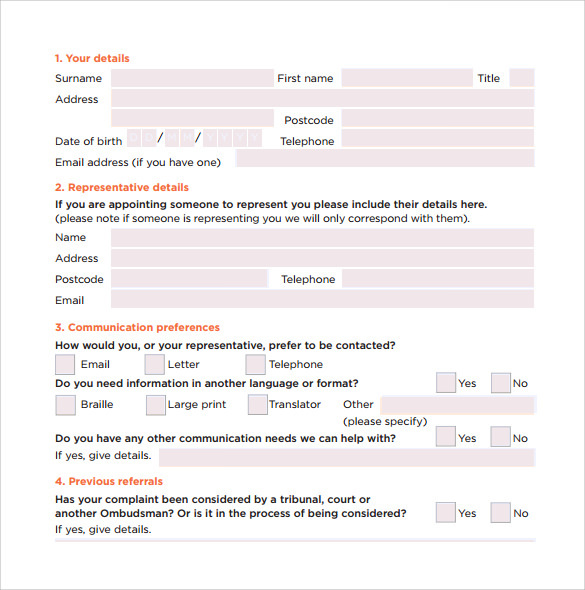 With this form you can clearly write down all the aspects of the complaint. 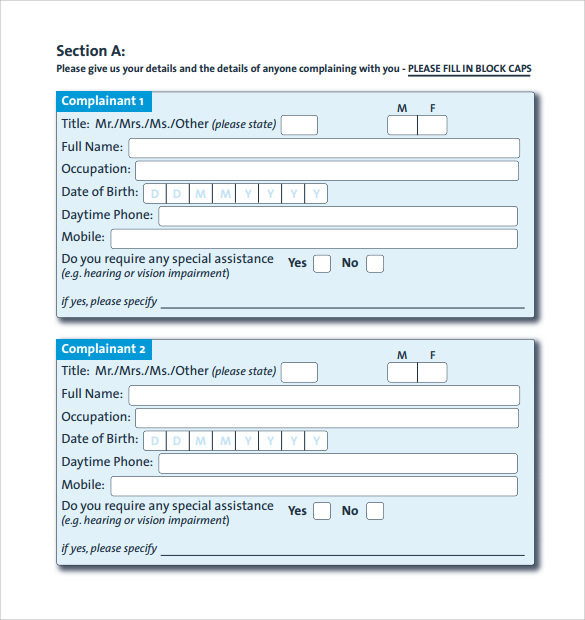 You can download it today and make your complaint without any external guidance since the form is designed to guide you as you file the complaint. 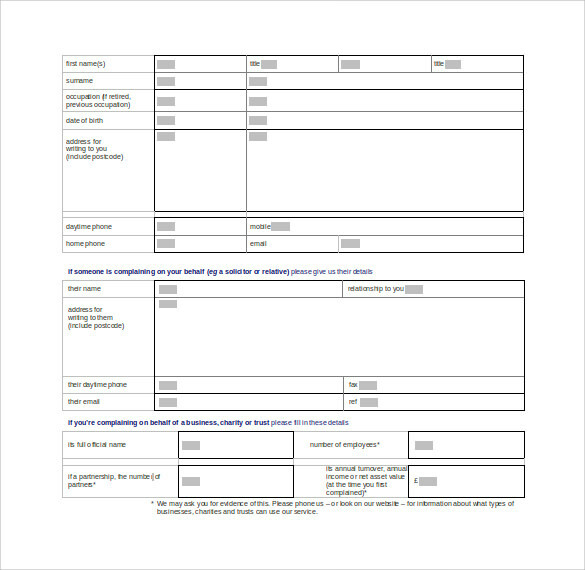 It is available in formats like Word, Excel and PDF.